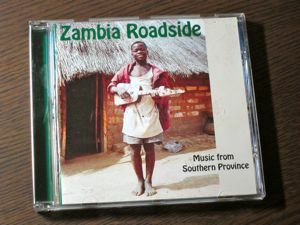 Our new release SWP 041 'Zambia Roadside 2' is on its way! Release end of March. 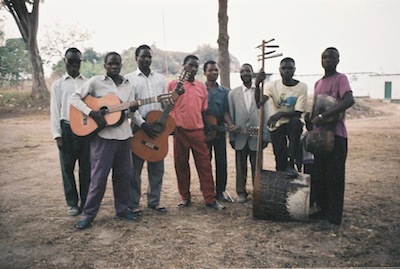 This is one of the groups, featured with two great tracks recorded in 1996: The Mansa Visual Art Band. Most of the guys were blind and as blind people 'see' things regular folks do not, this became their name. Check the self-made double bass - it had a really big sound. They sang wonderfully a cappella, as well as a grooving dance band playing traditional kalindula and nfunkutu songs from Mansa, Luapula Province, Zambia.